Am I making a difference? Am I truly a leader? Am I on the right track? These questions burned in my mind as I sat captivated at the History Makers Journey in my home country in the Middle East. I absorbed everything I was taught at the conference. It was all so clear. Life is our greatest gift from God. We were delegated by Him to be decision makers. Why wouldn’t I live this lifelong journey praising the Lord and glorifying His name by devoting my thoughts, actions, and decisions to His Kingdom? All it would take is standing up, making a decision to surrender my whole life into God’s hands, and living it out with purpose and vision. I knew in my heart I would be discontent if the History Makers training ended with me. I wouldn't be satisfied until I made a change. Today, I make that change. From now on, I refuse to live randomly. I refuse to make useless decisions. I choose to live this journey making the changes God wants. I choose to be a leader, a decision maker, a History Maker. 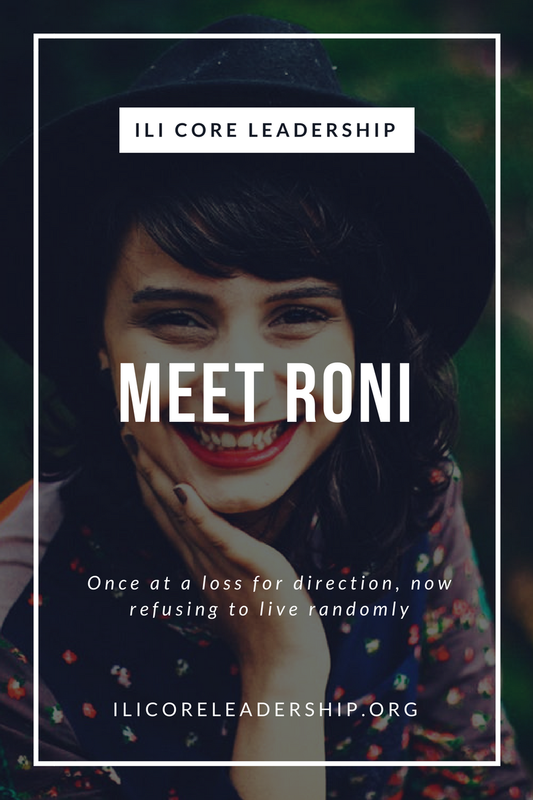 From the moment Roni experienced History Makers, she refused to live without direction. She now intentionally lives for God, equipping leaders and spreading the Gospel throughout the West Bank. * For security purposes, the name and picture of the leader have been changed. Newer PostIS JESUS REALLY MINE?